The REX alpha is all about performance. 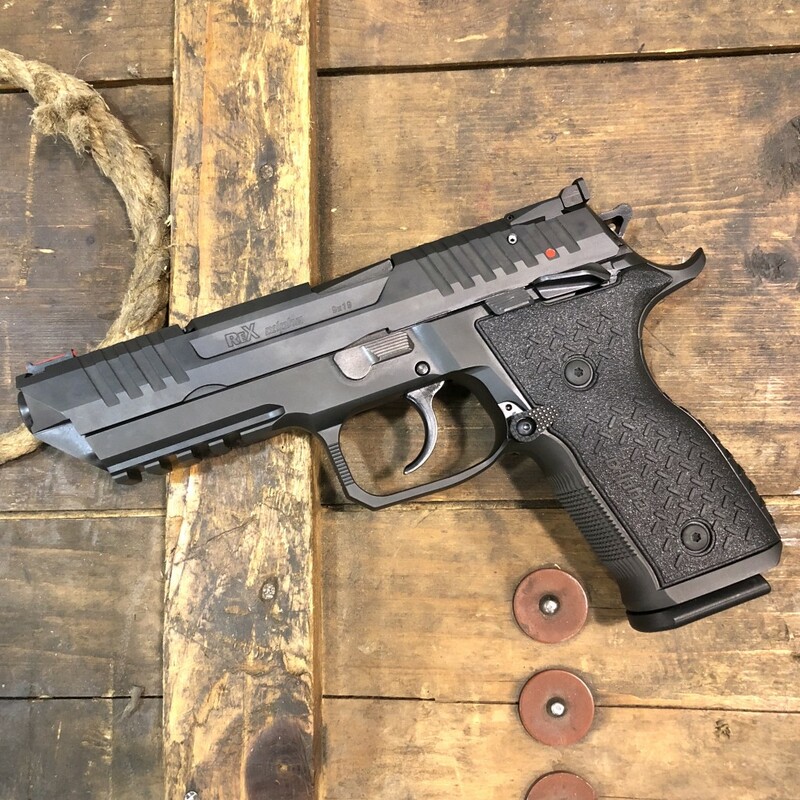 The trigger mechanism is factory fine-tuned for each pistol to deliver a smooth double action pull and a short trigger reset in an out-of-the-box competition grade trigger. 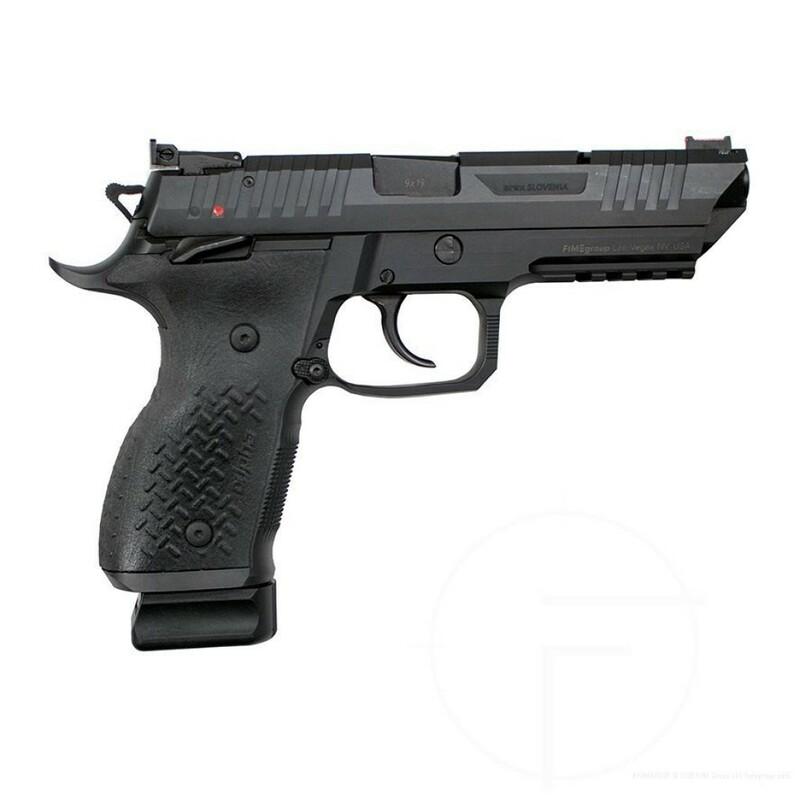 The full steel frame incorporates oversized ambidextrous manual safety levers, flared magazine well, aggressive checkering in front of the grip, extended magazine release, fiber optic front sight, and a fully adjustable black rear sight (windage/elevation). 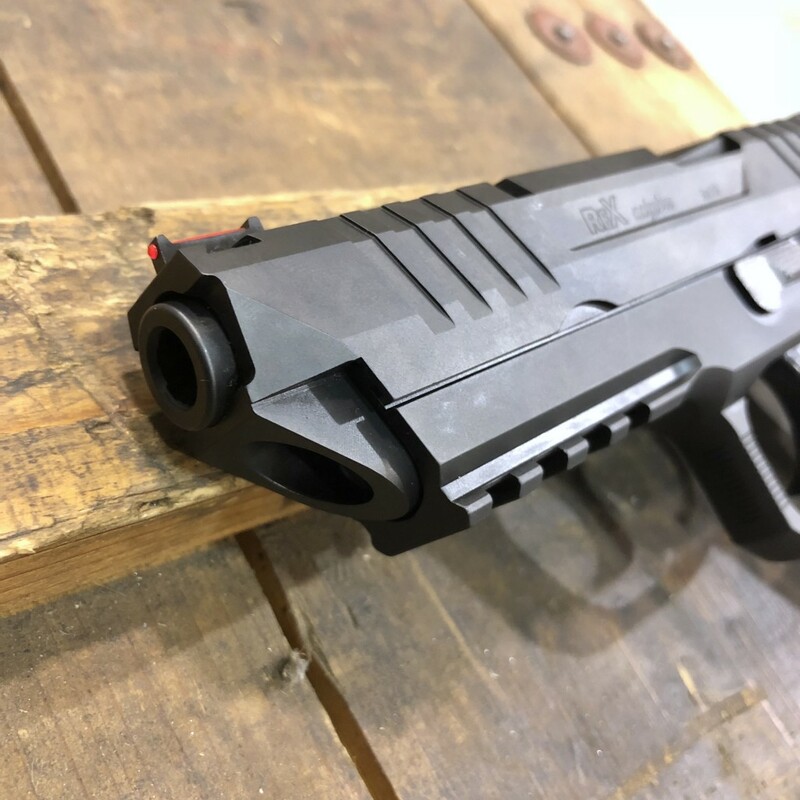 The REX alpha is the next evolutionary step in the REX handgun family. 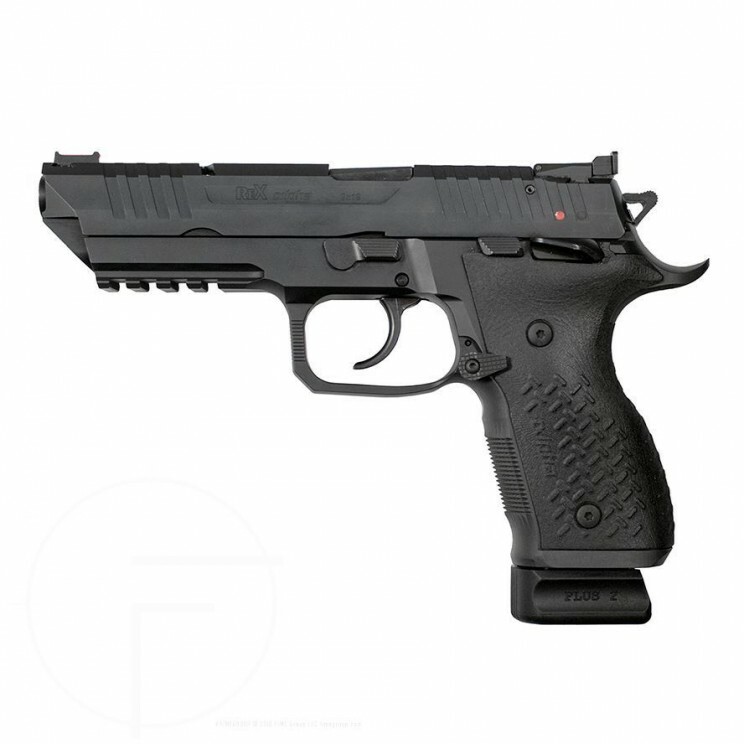 It is a direct descendant of the REX zero 1 and has inherited its toughness and reliability. 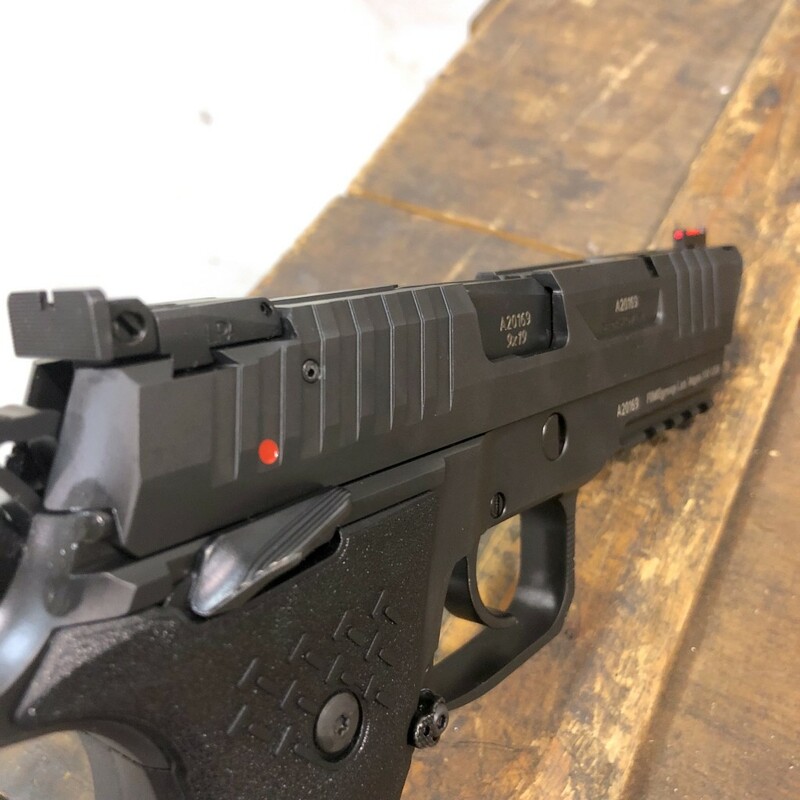 Listening to the practical shooters, Arex designed and developed a pistol that excels in competitive practical shooting as well as in tactical scenarios. With the elusive and all important "shootability" being Arex's primary goal, a steel frame was used in place of an aluminum one. A reengineered grip results in shorter trigger reach and notably higher hand position. An undercut trigger guard and extended beavertail complete the ergonomic transformation. 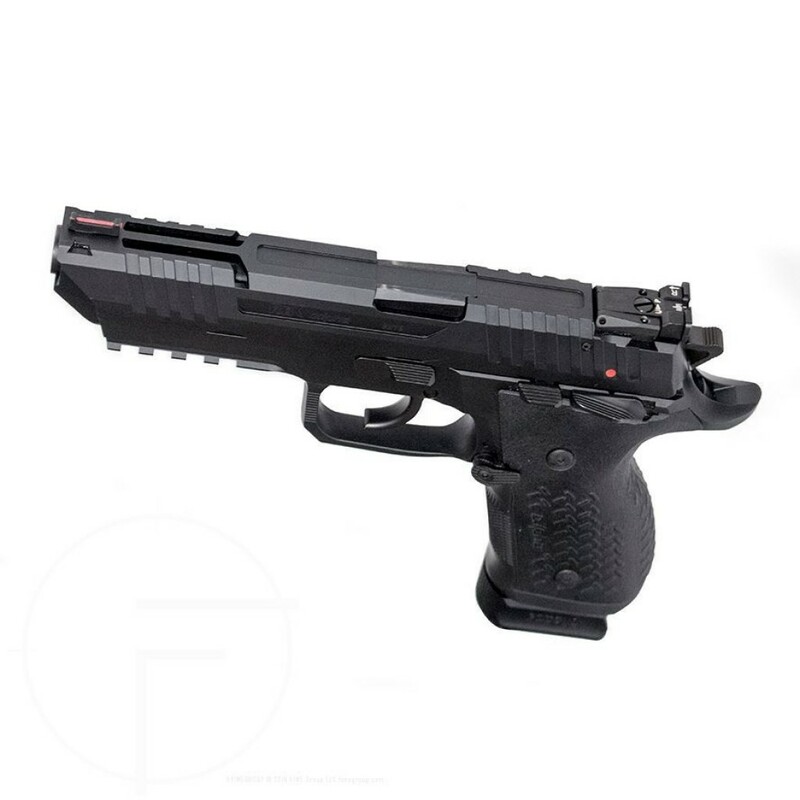 The long slide houses a five inch barrel, providing a longer line of sight for faster and more accurate shots. The slide has been lightened significantly utilizing lightening cuts to accomplish faster cycling. Can be operated either "cocked & locked". External safety operates in either configuration. Extended mag release button - switched to either side. 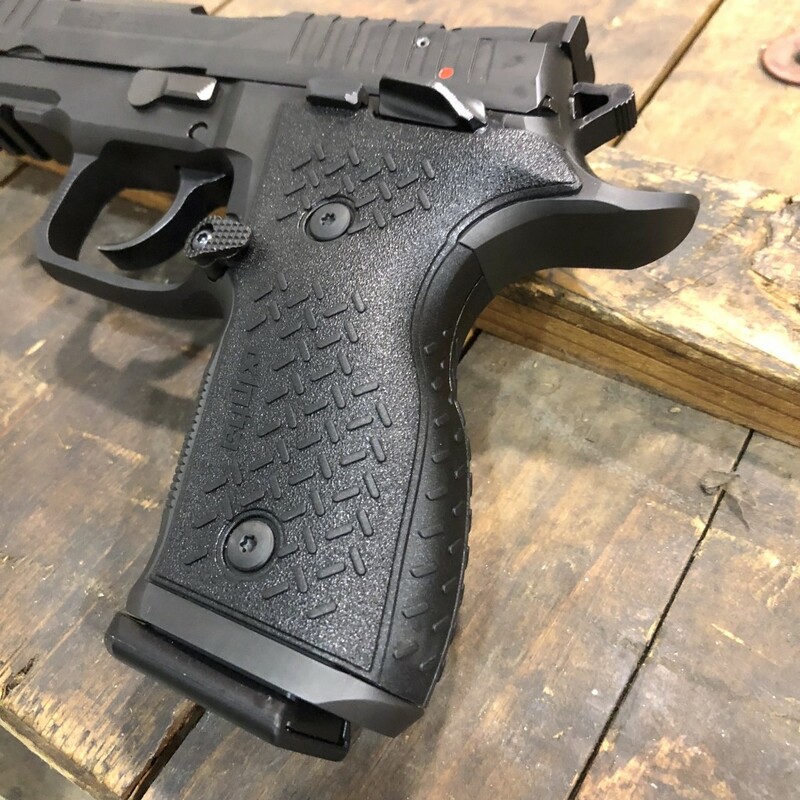 Redesigned grip wraps around the rear and aggressive checkering on the front. Full steel frame and slide. Lightening cuts on the slide ensure faster cycling. Oversized frame mounted safety - teardrop shape. 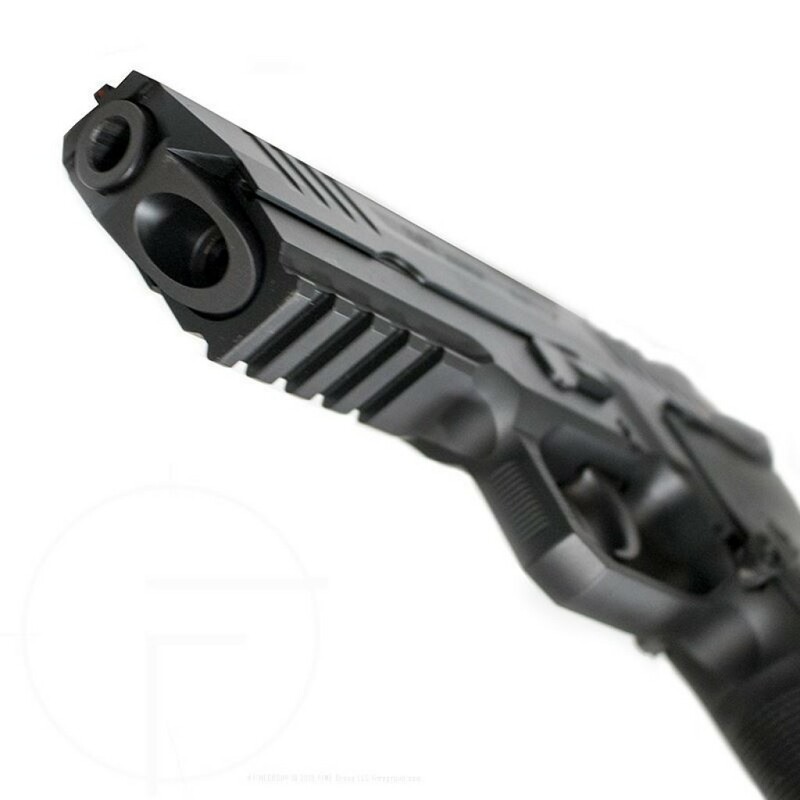 Forward cocking serrations and full length sliderails. Picatinny rail dust cover and redesigned trigger guard. Uses same mags as the Rex Zero 1. Red fiber optic front sight and fully adjustable black rear sight (windage/elevation). Flared magazine well for faster reloads. Competition ready out of the box. Full slide manipulation even when on safe.